Alex Txikon has both done a lot and has a lot to say. 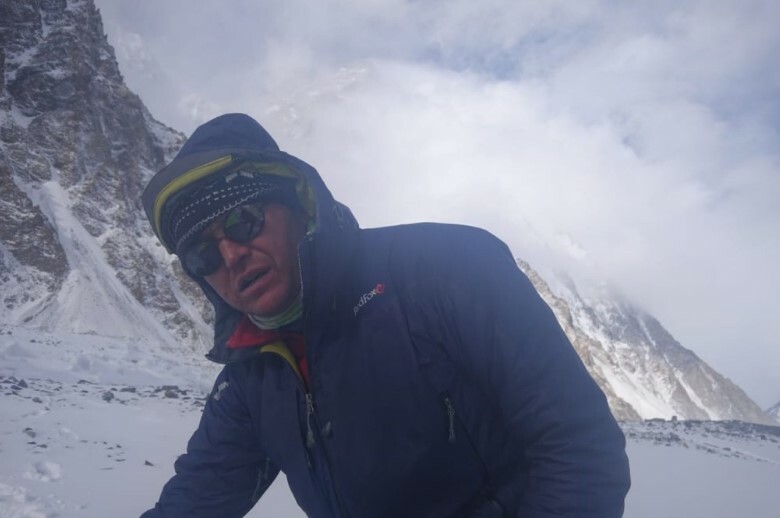 In the last 90 days, he has launched a serious attempt on winter K2, managed a nerve-wrecking search operation on Nanga Parbat, which concluded with finding the bodies of Daniele Nardi and Tom Ballard, and learned a great deal about human nature, for better or worse. 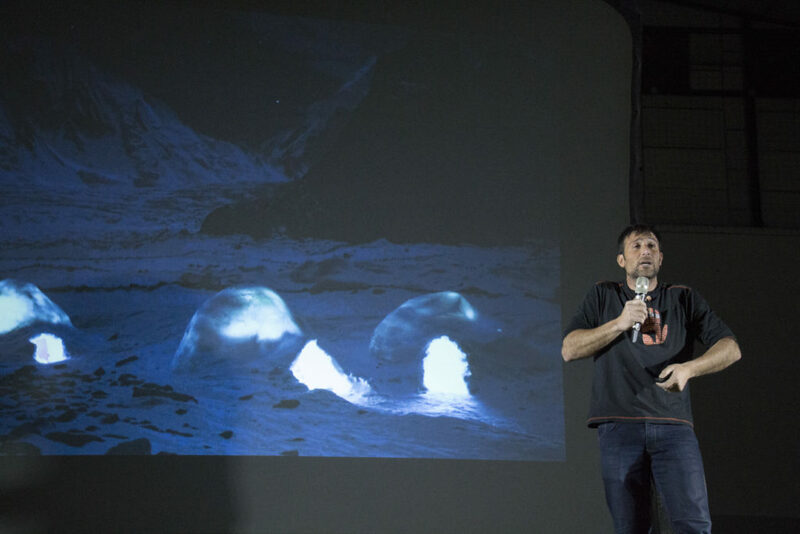 While visiting friends and attending a mountain film festival in Manzanares el Real – at the foot of La Pedriza, one of the world’s Meccas for friction climbers – the Basque climbing star sat down for an in-depth interview with ExplorersWeb. 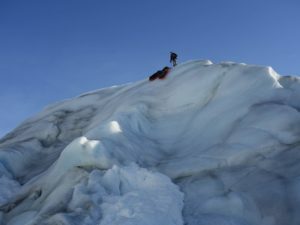 In this first of a two-part interview, Txikon discusses his K2 expedition, the application of old ideas and new technology to winter climbing, and the awkward coexistence among Base Camp neighbors. 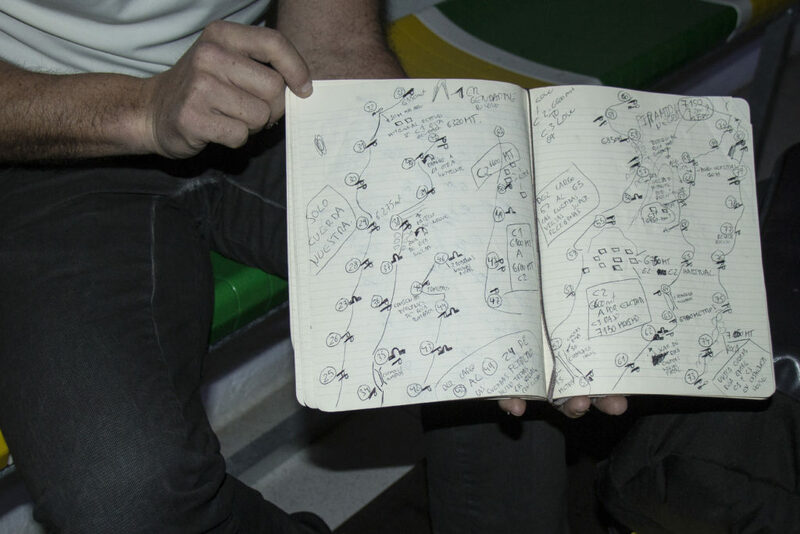 During the expedition, the worldwide climbing community wondered why the two teams pursuing the coveted goal didn’t join forces and thus increase their chances. The truth is that a Cold War of sorts rampaged in that frozen Karakorum Base Camp. Let’s start from the beginning. Why K2 in the first place, instead of giving Everest a third try? Everest would have been my first option, no doubt – but not from the south side, as on the two previous occasions. Fixing the entire Khumbu icefall is such a huge job –- we brought 80 ladders on the first attempt! Our chances are better on the north side and we tried for months to get a climbing permit. We even managed to get word of our project passed on to Xi Jinping [China’s premier] when he visited Spain in 2018, but it led nowhere. Just in case, we prepared a Plan B by applying for a climbing permit to K2 and sending a first group of porters to cache supplies by the end of autumn. Porters charge triple in winter — which is totally fair, they work under incredibly tough conditions! 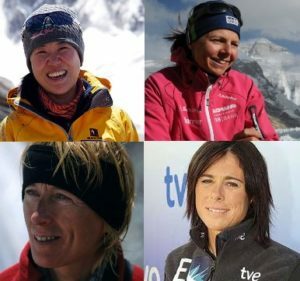 How was it that five climbers from Nepal came with your team? Because I have worked with them on our two previous attempts on winter Everest. They showed their proficiency as high altitude climbers in winter conditions, and we’ve become good friends. But you hired them, right? Yes, of course. They are doing a professional work and they are paid for it, just like I had a salary when I climbed and filmed for Spain’s public TV. I do not understand why people criticize that, and I understand even less how some expeditions take pains to hide the high altitude Sherpas working for them. The Poles on winter K2 last year, for example, had high altitude porters with them too, and only Urubko mentioned them. They are climbers just like I am, they deserve to be acknowledged, appreciated and applauded. After all, they fixed the routes for others to jumar up later. Did everyone in your team fulfill expectations? Sure! We had a great atmosphere in Base Camp and everyone did their job well. Josep the Doc was great, Bruno operated the drones, Eneko took care of Base Camp, Ashgar from Jasmine Tours organized everything perfectly, Mosheen was the soul of Base Camp – much, much more than a cook! 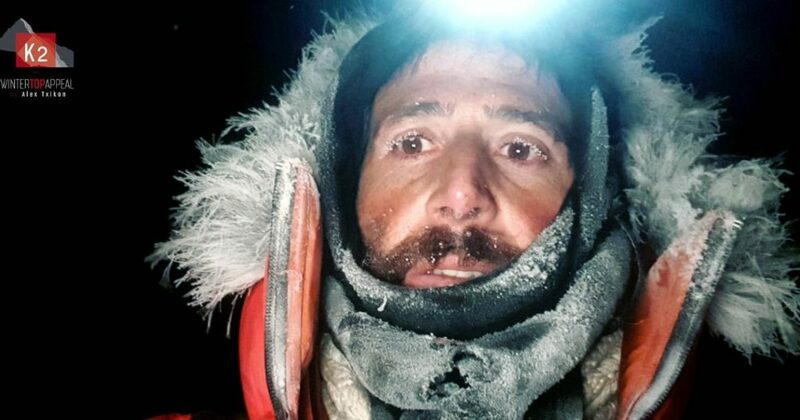 Felix was also great, although he needed some time to acclimatize and get the pace, but worked hard during the rescue on Nanga Parbat and the final push on K2. In addition, they all did a great job picking up everything on our way down and leaving the mountain totally clean. I guess daily life in such a cold place must be difficult. Yeah, Base Camp is hard. We had our tough moments, especially with organizational tasks, but mainly things were harmonious under difficult circumstances. [Interrupting] Oh, horrible. I am bitterly disappointed. They have discredited the former Soviet Climbing School. I’ve climbed with remarkable men such as Denis Urubko, Nikolai Tomyiamin, Valery Babanov, Sergei Bogomolov, Alexei Bolotov and so many others, and this group has been totally something else. First, competition has been the norm and that raised the worst side of mountaineering. Their behavior was selfish, fiercely competitive and rude. They left 20-30 kg of rubbish behind in Camp 1, and 40-50 km in ABC. We retrieved it all and I am still waiting for them to say thank you. 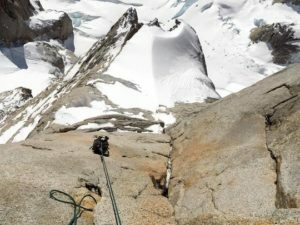 But the most surprising fact is that they fixed barely 800 meters of rope from ABC to Camp 1 and less than that on the House Chimney. We, on the other hand, fixed as high up as we reached: Korean rope up to Camp 1 and then semi-static 8mm and 9mm rope. With so little fixed rope, how did they climb? Often by clipping onto old ropes from previous seasons. Of course, they also used our ropes when we were not nearby. This was easy to check from their footprints and the tension on the ropes when we observed them from below. That is not surprising; in fact, it’s the logical choice if you value your life. But some of the old ropes they clipped onto were totally peeled off. That was dangerous, reckless and, well, crazy. I have handwritten topos of all the pitches, and video footage of the belay stations and the ropes we just fixed. The ones they had used are clearly shown. [Ed: Two of Txikon’s videos appear below this passage.] From ABC, they climbed on rock up the first sections, which are not so steep. We chose to climb up a ice/snow ramp slightly to the right. Our two routes joined up at 5,700m. They fixed from that point until 6,100m and, beyond that, the House Chimney. That was all. Meanwhile, we fixed a total of 3,000m of rope along 80 pitches. Then, on descent, we retied 1,200m of that rope, all we could. Moreover, they had no chance of success at all, they were so slow. We would usually set off two hours later that they did, only to reach them in about half an hour. They would have had a better chance reaching the moon than the summit of K2. They were, in my opinion, in poor shape and used unusual tactics: huge, old backpacks, two or three bivouacs, some of them very close to camps, and relying on old ropes. Half-way into the expedition, they said that three fresh Kazakh climbers were joining Braun’s team, but they turned out to be of little help. Two of them lasted only two days in Base Camp. I was very surprised to see this on an expedition whose leader is a 14 x 8,000m summiter [Vassiliy Pivtsov] and who has done other remarkable climbs. I do not know what has happened to him. There were three Polish climbers on your team. Shouldn’t they have joined the Eastern Europeans? Yes, that was their first option. But Braun’s expedition asked them for an outrageous amount of money to join. That is why they went with us. I am sad. What should have been a golden opportunity to join forces and show the brightest side of alpinism resulted in a very stressful situation which benefited no one. Okay, let’s focus on your own expedition. There’s been a lot of talk about your igloos in BC and your drones. Did these work out well? I am not inventing anything here. Igloos and snow caves have been used on mountains forever. We spent time learning how to make these igloos and brought special molds and saws. The problem at K2 Base Camp is that, being so high up, the snow is very dry and difficult to compact. We also built less-than-standard igloos: For example, the entrance was not below the interior living space. [Ed: This keeps cold air from seeping inside.] Still, the results were good. They took a long time to build, but once done, they were amazing. Not only was the inside temperature higher, but also the oxygen saturation, so we slept better. They were also quiet in high winds. We also built a wall when a gale from the south was forecast. A member of the team had some knowledge of architecture and convinced us. I was not totally sure what I was doing building walls instead of climbing, but it actually proved a great way to spend time when the gale came. Artem’s team had two tents flattened, while our mess tent was unharmed. As for the drones, we had two Mavic Pro and one Phantom, which we modified to increase their altitude range. Batteries are still a problem, though. Although we kept them inside our down jackets, they only lasted a few minutes. Worst of all, a drone falls when it runs out of power. As a result, we lost one during the rescue operation on Nanga. What do you think was your best idea for future winter 8000’ers? Our greatest contribution — and my biggest surprise — was the small, portable weather station. We proved the amazing inaccuracy of the usual multi-model weather apps. In future, I would like to carry these portable stations to higher camps. They may prove a revolutionary tool for summit pushes and presenting options. You left Base Camp and went to Nanga Parbat to search for Daniele Nardi and Tom Ballard. [Ed: Txikon will cover the full rescue operation in the second part of his interview.] Most outside observers took for granted that, once back at K2, you would just go home, especially after the Russians gave up and left. But you stayed and launched a summit push. Yes, we returned to BC on March 10. Soon after, we started up, loaded with rope and willing to climb as far as possible. After the sad experience of finding Tom and Daniele, with your team now alone on the mountain, weren’t you afraid? How do you manage fear? Well, in fact, we were not afraid, but actually rather calm. It was quiet up there. We were free to move up at our own pace, with no other team to deal with, no one stopping us from progressing. We knew the route well and we climbed on the good rope that we had just fixed. I never felt the pressing sense of fear that you feel, for example, when crossing the Khumbu Icefall on Everest. When you reached Camp 3, did you really think you had a chance to make the summit? I knew that the top was virtually out of reach, mostly because the team had been losing members: Geljen first, and then Halung in Camp 2. There were only three of us, which meant that we had to carry two coils of rope each and fix while we climbed. We stopped for the night at about 6,950m. Above that point, we fixed eight more pitches, enough to climb the entire Pyramid, up to about 7,200m. Then we decided it was not safe to continue, so we turned around. Will you return to K2? Yes, I would very much like to. But not if I am going to face harsh competitiveness, hostility and constant quarreling with other teams. I want to recall the stunning views and the intense climbing. If I find funding, sure, why not? I do not think I’ll do many more winter expeditions. My fingers are still numb two weeks after returning! Besides, winter expeditions are so long and expensive that I spend most of the year fundraising (mainly by lecturing) and on organizing the expedition. There’s so much I could climb during that time! When you return, what will you do differently? Honestly, I will not start so early. The weather is very bad, relentlessly windy in February. Summit time is March, I am sure of that, so why start on the first of January? I’ve also learnt that there is no such need for several partial trips or nights in Camp 3. We just had one night in Camp 2 and it was enough. We were good for the summit push. So all I would need is to set up a camp, fix ropes up to Camp 2, then wait for the right time to launch a summit bid. During the expedition this year, February was so windy that we repeated our old Everest strategy and climbed at night. It is extremely cold, but winds tend to drop in the early hours. This tactic works up to Camp 2, if you can manage to do everything with your mitts on. What about the route? You checked the eastern side but then discarded it. I will go up the Abruzzi, for sure. The Cesen route is not good in winter, and the East face is too exposed. The only other option would be the north side, but trying to get a permit is so difficult that it is not worth the struggle. Wielicki’s Polish expedition is preparing for winter K2 next year. Could that be a problem? And you – would you climb with Urubko? Or maybe Simone Moro? Or Adam Bielecki? I haven’t talked with Denis yet. I’ve just returned and had no time, but I intend to call him asap. As for Simone, the chances are small, since we have different approaches. He would like to climb in a small team on a fast, single push, but I think that strategy will not work on K2. It is sewn with old ropes, and in the end, this is what they’ll end up doing: climbing on old ropes. As for Bielecki, I do not know, I am just back, and like him, I have not yet made plans for next winter. He has Annapurna ahead of him before he starts thinking about that. Anyway, whoever attempts K2 next winter — what will they need to succeed? They need to be a perfectly coordinated, harmonious team. They need a sound budget. A smart strategy. And all the data they can gather. Up there, any unexpected factor can kill you, so there have to be no unexpected factors left. And they need to be fast. Messner said that a fast team could cover the route from ABC to C3 in eight hours, and he was right. If that is done, one may fix and climb to C4, and then — go for it. Alex Txikon’s team on the final summit attempt in mid-March. 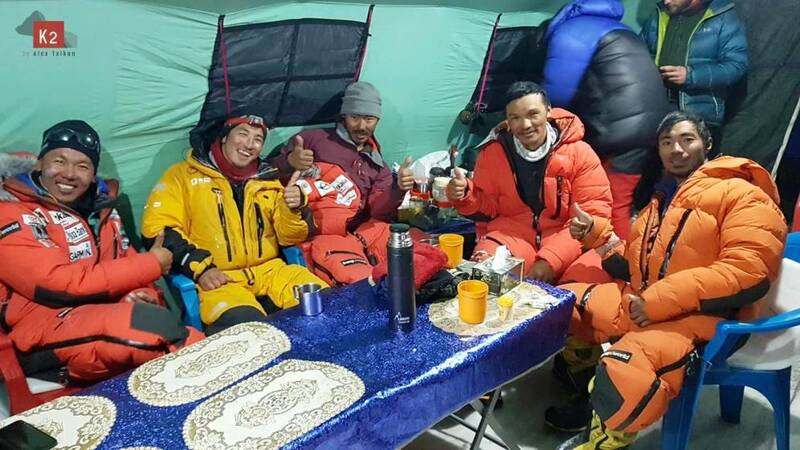 6 Comments on "Exclusive: Alex Txikon on a Troubled K2 Winter Base Camp"
Alex expresses his usual excellent insight and judgment. Considero que en algunas cosas se ha excedido, pero realmente está contestando a las acusaciones que el equipo de Pivtsov le ha hecho durante toda la expedición. I don’t speak Spanish and don’t want to comment on Google translate because online translators skew the meaning. Sorry. Agree. The first team did not leave any ropes high up after retreating and this made some coming after them very angry.. – it’s indeed pathetic to express their resentment in his way, giving interviews. Mr. Pivtsov may not be so good with the press, but he knows how to climb. What was the make/model of portable weather station used ?